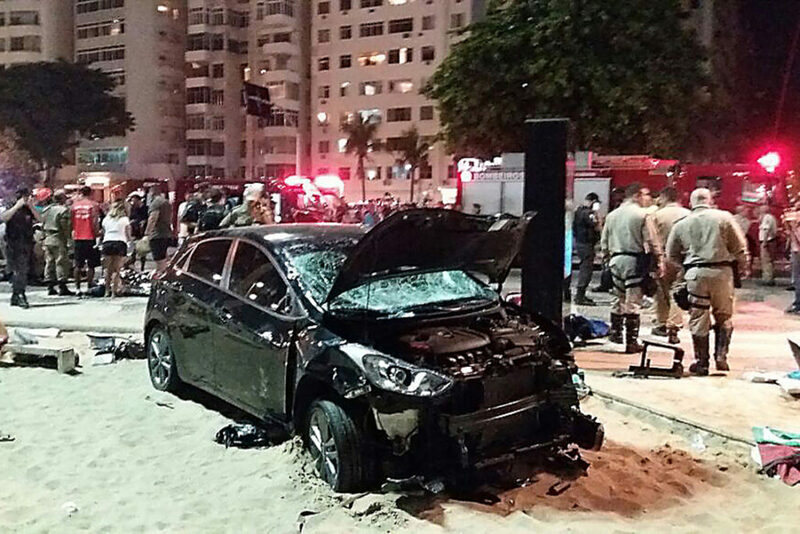 On Thursday night, there was a terrible accident at the Copacabana beach in the city of Rio de Janeiro, Brazil. An eight-month-old baby girl died in the crash after the driver apparently suffered an epileptic attack. “He killed my baby,” yelled the father of the girl while the mother was in the hospital with serious injuries. The man allegedly had an epileptic crisis at the wheel and plowed into a tourist-packed promenade. According to officials, the driver was 41-year-old, Antonio de Almeida Anakim. De Alameda Anakim got arrested and taken to a police station in southern zone Rio de Janeiro. “We got there in time to keep him from being lynched,” an official stated. Cops arrested the driver and questioned him at the station, ruling terrorism as a motive. 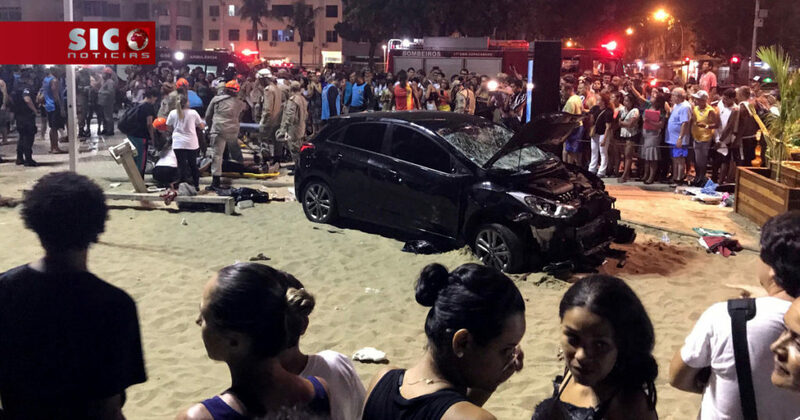 The car went up the sidewalk of the beach and ran people over who were walking on Figueredo Magalhães Street at the moment, injuring more than 15. The car was destroyed and stranded on the beach. Paramedics arrived quickly and provided treatment to the injured amid the chaos. Brazilian media reported that a woman was in a critical condition in hospital, and two other children in a severe state. Three men, three women, and a two-year-old boy remain in the hospital. Eyewitnesses said the car was not going at high speed, and that it lost control before invading the sidewalk. Rio de Janeiro’s Police Department continues with investigations.